MANY Forum writers have complained about the lack of social graces among commuters who fail to give up their seats to the more needy. All manner of solutions have been offered, such as painting the seats a different colour, having large signs that stick out, and having public announcements. Some even choose to pass remarks loudly in an attempt to shame them into giving up their seats. I wish to suggest a more effective solution. Whenever I notice a pregnant lady or old person, and no one offers to give up their seat, I simply approach one of the seated persons and ask politely if they are willing to offer their seat to someone who needs it more. I have done this several times and no one has refused yet. There is no embarrassment or antagonism; if the person declines, simply ask the person beside him. If you are unsure if the old person wants a seat, you can ask him before getting the seat. I believe that social graciousness must start somewhere, and that somewhere is 'me'. If enough people start asking others, sincerely and with a smile, if they can give up their seats for others, I think Singaporeans in general will start giving up their seats willingly and happily. It was during those peak hours in the evening that I saw this 70 year old man (he look about 70 to me). He was standing in the centre of one of the cabin in the train and was having difficulty keeping his balance even with the help of the pole. Right in front of him, was a young man who look early 20s. He was holding onto a PSP and was definitely enjoying his round of game. I have no idea was it because he was so engrossed in his game that he did not see the old man or he simply do not care. Hence I took up the courage, went up to him and said, "Hi, can you please give up your seat to the elderly man here?" I tried to put on my nicest smile for that :) hahahaha! Instantly he looked at me and stood up which of course I did thank him for the gesture. The old man then got a seat and when I turned back the young man was nowhere in sight. He could be too embarrassed to be seen or had alighted? Would like to know if a single mum and her child constitutes a 'Family Nucleus' when making a purchase of HDB flat? Thank you for your email of 21 July 2008. An unmarried mother who is a Singapore Citizen age 35 years with a child at least 21 years of age, may buy a 4-room or a 3-room flat directly from the HDB, as long as she can meet all the eligibility conditions for purchase of a flat. In addition, she must be able to produce the Deed of Severance of Cohabitation and to show proof of the custody of the child. Unmarried mother scheme is subject to approval based on a case-by-case basis. But if your child is not 21 years old, then we are sorry that you are not eligible to buy a new flat from HDB now, you may consider buying a resale flat from the open market. On the other hand, an unmarried mother who is a Singapore Citizen at least 35 years old and whose child is above or under 21 years of age, will be allowed to buy any room type resale flat from the open market in any estate/town where the approved proportion for his ethnic group in the neighbourhood/block has not been exceeded. In addition, she must be able to produce the Deed of Severance of Cohabitation and to show proof of the custody of the child. Unmarried mother scheme is by a case-by-case basis. From the website it says; women who are married, divorced or widowed are entitled to these reliefs. Nothing was mentioned about single mums. We regret to inform that single female taxpayers are not eligible to claim for the reliefs mentioned in your email. Even if these single female tax-payers are mothers too? Would like to enquire more about baby bonus. The info provided on the web says, children adopted by widows, widowers and divorcees are considered eligible. What about children born out of wedlock? We refer to your e-mail dated 2 Jul 08. 2 Please accept our apologies for the delay in reply. 3 Regulation 4A(2) of the Children Development Co-savings Act states that children born on or after 1st Aug 04 shall be eligible to become a member of the Scheme if his mother is lawfully married to his natural father at the time he is conceived; or becomes lawfully married to his natural father after he is conceived. whether or not such marriage remains subsisting. 4 As such, we regret that children born out of wedlock are not eligible for the Scheme. Are single, unwed mums eligible for maternity leave? We refer to your email dated 30 Jun 08. (c) she has given at least one week's notice to her employer before going on maternity leave and has informed the employer as soon as practicable of her delivery. The employee's marital status (whether single or divorced) does not affect her entitlement to paid maternity leave from the employer. · For the first and second confinements, the first 8 weeks of maternity leave will continue to be employer-paid. The additional 4 weeks (9th to 12th week) will be funded by the Government, and capped at $10,000 (including CPF contributions). · For the third and fourth confinements, the full 12 weeks of maternity leave will be funded by the Government, and capped at $30,000 (including CPF contributions). d. Employee has worked for the employer for at least 180 days before the birth of the child. If the employee is not legally married, she will not be eligible for the government-paid maternity leave. For children born on or after 1 March 2007, if the mother does not meet the criterion (a) and/or (c) at the time of confinement, but meets them within six months of the child's birth, she will be eligible for the remaining Government-Paid Maternity Leave from the date when she meets all the criteria. Should you require more information on the statutory benefits provided for under the Employment Act, you could visit the Ministry of Manpower's web-site at http://www.mom.gov.sg/publish/momportal/en/communities/workplace_standards/employment_standards/the_employment_act.html or call 6 4385122. However, if you need to meet and consult with our officers in person, you may make an e-appointment using the following link : http://app.etools.mom.gov.sg/eindex.aspx. Labour Relations Department . Ministry of Manpower . Fax (65) 65355103. http://www.mom.gov.sg. From your reply below, am I right to say that a single mum is not entitled to maternity leave on the 3rd month if she is having the 3rd or 4th child? 1st and 2nd entitled to all 3 months regardless of whether she is single mum a not? We refer to your email dated 20 Jul 08. For single mothers giving birth to 1st or 2nd child, the 3rd month maternity leave will be unpaid if she is not legally married. If the she is giving birth to the 3rd/4th child, the full 12 weeks maternity leave will be unpaid. Labour Relations and Workplaces Division . Ministry of Manpower . Fax (65) 65354811. http://www.mom.gov.sg. 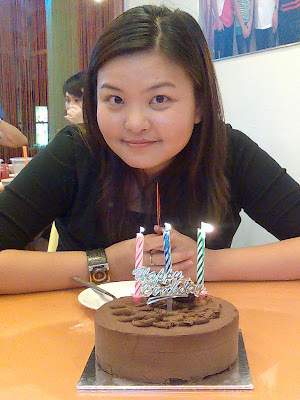 Yup I turn 30 on 19th July 2008...3 decades had passed! Scary! I wish for the well-being of everyone who knows me in particularly my family. SINGAPORE: Political watchers have said the biggest challenge for all political parties - both ruling and opposition in Singapore - is to recruit credible members. Minister Mentor Lee Kuan Yew said on Friday that the ruling People's Action Party (PAP) is trying to force the opposition to gather good candidates that will equal the PAP in integrity and competence so that if the PAP fails, there will be an alternative. He added, however, that the opposition has not been able to do so. The opposition was out and about in the 2006 Singapore General Election. One political watcher said the parties need to keep up this visibility post elections, as well as to do more. Eugene Tan, Assistant Professor at Singapore Management University's School of Law, said: "They need to be able to have that brain trust to be able to comment effectively on government policies and offer quality alternative. They need to rise above themselves, go beyond just being an opposition, to be - in a way - government-in-waiting." Observers said another challenge for the opposition is to translate the good turnouts at the rallies to actual votes in the ballot boxes. Workers' Party chairman Sylvia Lim is clearly aware of this. Her focus is to get enough credible people into Parliament. She admitted her party is far from being able to form a 'shadow Cabinet', or offer policy alternatives. "Parliamentary presence is the first step, so we would still want to focus on getting credible people elected into Parliament," said Sylvia Lim, who is a Non-Constituency MP (NCMP). "We may slog, we may work towards winning election, but in the end we may lose. So there has to be that spirit of perseverance to believe in the process - and getting Singaporeans to be involved in the process is just as important, if not as important as the outcome." She admitted, though, that recruitment is a challenge. At a community event, MP Indranee Rajah told Channel NewsAsia that it is in the country's interest to have a good pool of talent, be it from the PAP or the opposition. She said: "Just because we are a small country doesn't mean there is a lack of people to step up to the plate, if need be. As for the opposition, if they want to grow, really I think they need to identify those good candidates, they need to identify how to have a good organisation." PAP MP Michael Palmer feels that from the last election, younger Singaporeans seem more willing to associate with opposition parties. For him, the over-riding problem for all political parties is getting capable people with integrity into politics. For the opposition, this could mean some time before it can be an alternative to the PAP government. WHEN it comes to green issues, legislation can only go so far. Attitudes too are just as, if not more crucial. Speaking at a public forum yesterday,Environment Challenge Organisation (Singapore) founder and president Wilson Angrecognised that while green policies here can be enhanced, individuals must take ownership for the environment. While regulations can have an impact, any changes in political agenda, for instance, can cause momentum to flounder, he said. “We have a National Recycling Programme, where there is one recycling bin every few blocks. Yes, it can be improved, but our attitudes are more important. We cannot rely on the Government for everything,” he said. Similarly, “experts” are not the only ones who can make a difference in the environmental stakes. Another speaker at the forum organised by the Workers’ Party Youth Wing said the “misconception” is that one has to be qualified or an activist to speak on the environment. But, by speaking in accessible terms, one can bring the message across, said Mr Nathaniel Koh, 24. For example, to cut down on the use of plastic straws, he told his parents how drinks taste better without using them because the flavours come into contact with more of the taste buds. “(One) does not need to know the intricacies of a problem (to make a difference),” said the Singapore Management University student. What it takes, he said, is to speak to people in their own terms and language. Yesterday’s “YouthQuake” was the third in a series of four public forums. The final instalment will be held next month. YouthQuake 3 had been well-attended and the issues that were discussed on was the environmental issues. Reporters from both 'Today' and 'Zaobao' were there too. Will be working on an event write-up and it will be posted up onto the YW website, look out for it! YouthQuake 4 will be held in August and it also happens to be the last session for YouthQuake Season 1. Of course this last session is going to be something to look out for :) Because its an issue that men should know and women is interested in. I cannot help but feel sorry for drivers especially taxi drivers when I read the report on more ERP gantries and higher rates. With the latest addition along Singapore River and higher charges for ERP along CBD areas and Orchard Road, I doubt taxi drivers would want to drive into these areas to pick up passengers. This will of course cause a decrease in business tremendously. Although this is not the first time and most taxi drivers had probably gotten used to it but still it is a consideration when one wants to drive into these areas. This increase could not have come at a worse time given the increase in fuel prices as well as inflation. Driving has become so confusing for drivers. Many of them could have lost track of changes and charges. Help is on the way according to this report, but what about the illiterate? People who knows nothing about surfing the net? Most taxi-drivers fall into this group of people. Previously, taxi-drivers were encouraged to drive into CBD areas with the additional $3 surcharge. This had somehow become redundant with this new implementation. In other words the new ERP charges had made the just 'Improved system' back-fire. Singaporeans had always been encouraged to take public transport. Aren't taxis public transport? Why make it so difficult for this group of Singaporeans to make a living? The implementation of ERP was to smoothen traffic congestion. Increasing car population is one factor, what about other factors such as repeated road works, trees pruning, etc... As a passenger onboard a bus, I often find road works in progress along the same stretch of road. Am I the only one noticing this? Singapore is one country that makes car ownership exorbitant and is also the first city in the world to implement an electronic road toll collection system. The objective is to control car population. Policies such as COE (Certificate of Entitlement), VQS (Vehicle Quota System) and ERP (Electronic Road Pricing), were introduced to manage car ownership and usage. Some of you may have forgotten what VQS is, according to the LTA website, VQS was implemented in 1990. Under this system, LTA determines the number of new vehicles allowed for registration while the market determines the price of owning a vehicle. Since VQS was a system to determine the no. of cars allowed to be registered, why are we constantly facing the problem of over-whelming car ownership? Lastly, why is it that after implementation of VQS, COE and repeated adjustments of the ERP, we are still not able to solve the problem of traffic congestion? How would an environmentally-savvy Singapore look like? Is the Singapore youth prepared for a world where oil prices continue to climb at unprecedented rates? The Workers’ Party Youth Wing takes great pleasure in inviting you to participate in an upcoming public forum as part of the YouthQuake Forum Series. If you have something to say about the environment and if you think that youth in Singapore should stand up and speak boldly on issues that affect the environment in Singapore, this upcoming YouthQuake forum is tailored for you! We encourage you not to miss such an occasion where you can keep pace with the pulse of today’s youth in a pleasant and stimulating atmosphere and experience the dynamic nature of green issues. Women! Help X out Cervical Cancer! The Great Eastern Women 10K which was initiated in 2006, is back and registration has begun. Hahaha!!! I am of course going for the 5km Fun Run...my objective is to support the X out Cervical Cancer as well as Breast Cancer Foundation.......Join me! I got this interesting exercise via email from a friend. Look at the picture below and find the man, yes! There is a man among the beans. Doctors have concluded that if you find the man within 3 seconds, the right half of your brain is better developed than most people. If you find the man within 3 secs to 1 min, the right half of your brain is developed normally. 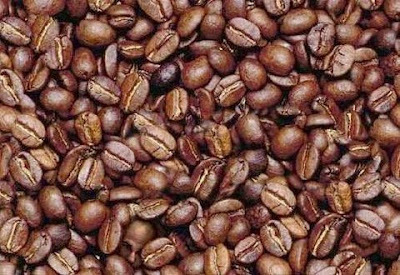 If you find the man within 1 - 3 mins, then the right half of your brain ins functioning slowly and you need more protein. And if you have not found the man in more than 3 mins, the advice is look for more of this type of exercise to make this part of your brain stronger, and yes the man is really there! Hmm....I took about 3 secs to 1 min.